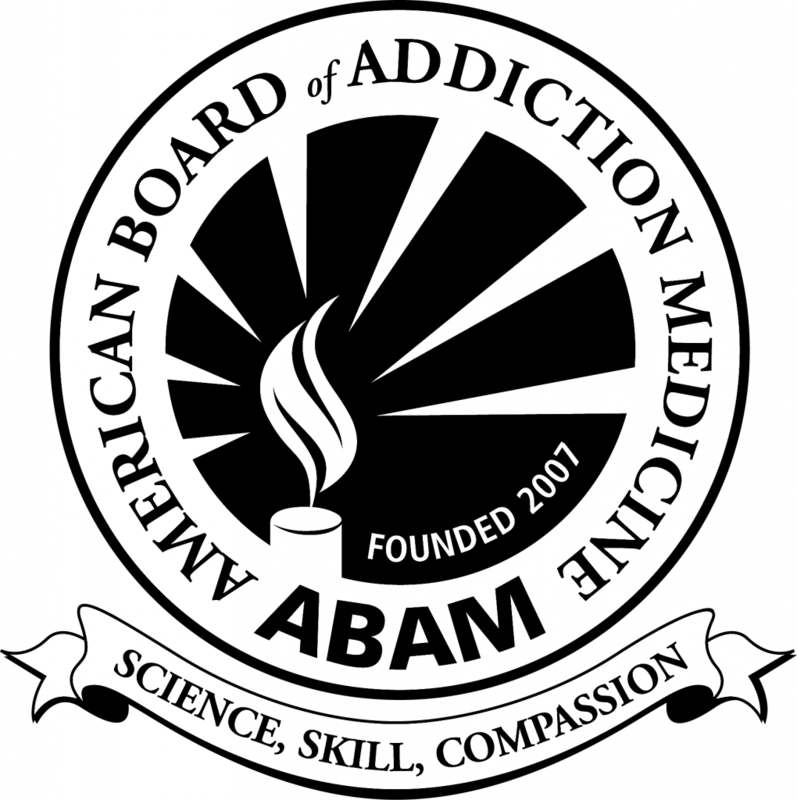 We deliver a variety of solutions to address the needs of employment compliance and addiction medicine, including: drug testing & alcohol testing, occupational health services, background screening, and monitoring of those with substance use disorder. A drug-free workplace reduces the risk of lawsuits, fines and citations while ensuring employee safety. We ensure that health and sustained recovery become the expectation rather than the exception. FSSolutions has received certifications for our staff, processes and systems that ensure we meet requirements for quality, secure and innovative services. As a business associate of entities required to comply with the Security Final Rule established by the Department of Health and Human Services under the Health Insurance Portability and Accountability Act of 1996, FSSolutions employees have completed HIPAA training, this demonstrates our commitment to creating and maintaining the controls needed to ensure the quality and security of services provided to our clients. All FSSolutions MROs are certified by the Medical Review Officer Certification Council (MROCC) and/or the American Association of Medical Review Officers (AAMRO), which are both nationally recognized boards with reputations for setting the standard for training of MRO professionals. Our MROs not only have specialized industry knowledge and skills proficiency, but also are well-versed in industry issues such as compliance and emerging testing techniques. FSSolutions is a Certified – Third Party Administrator (C-TPA) by the Substance Abuse Program Administrators Association (SAPAA). In order to qualify for certification, TPAs must meet a number of minimum requirements set forth by SAPAA, an internationally recognized organization whose mission is to establish, promote and communicate the highest standards of quality, integrity and professionalism in the administration of workplace substance abuse prevention programs through education, training and the exchange of ideas. 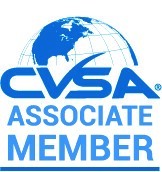 FSSolutions earned the SAPAA C-TPA designation by participating in industry trade associations, employing a Certified Substance Abuse Program Administrator (CSAPAA) and by having all of our workplace team managers successfully complete SAPAA training courses for DER in multiple DOT modes (FMCSA, FTA and FAA) and BAT refresher training. The C-TPA designation signifies FSSolutions’ dedication and experience, while demonstrating our commitment to a consistently high level of professionalism. At FSSolutions we continue our mission to be nothing short of the foremost experts on compliance issues. FSSolutions is a Microsoft Silver Partner for Application Development. By attaining a Microsoft Silver Application Development competency, FSSolutions has met extensive technology requirements and demonstrated expertise through rigorous exams, resulting in Microsoft certifications. We have also been recommended by our customers for the technical solutions we have built for them. Our skills, support, and knowledge have been tested and proven by successful implementations in specific technology areas. Additionally, our Microsoft Silver Application Development competency provides us with early access to new software and specialized technical support and services from Microsoft that help us to better serve our clients. Our company personally contacted several of their current clients and talked extensively about the service they receive and their experience with FSSolutions. Everyone had great things to say about the FSSolutions process, as well as the great customer service provided by their professional and knowledgeable staff. As part of the transition process, FSSolutions sent several team members to our location to meet with our staff, understand our needs, and identify areas where process improvements could be made. They also held weekly calls, working closely with our Safety, IT, and Field associates to make the transition as seamless as possible. I would highly recommend FSSolutions as a third party administrator for drug and alcohol programs of any company required to comply with federally mandated requirements. The professionalism, quality of services, and knowledge of the staff is first rate and has been incredibly valuable to our programs. I would like to take a moment to recognize the great folks who service our physicals at FSSolutions. In all of our years we have seen many things and worked with people of all walks of life. It is not often that we come across such an amazing group of people. We are grateful for the service that FSSolutions provides and certainly couldn't work as efficiently as we do without them. They are always willing to help in any way they can, and I can't tell you how much we enjoy working with them. They are just great human beings. They are truly appreciated. Keep up the great work. We looked at several different Third Party Administrators to oversee our drug and alcohol program, as well as our recerts and new hire physicals. FSSolutions came to our corporate offices on multiple occasions and presented their program to various members of our leadership team. They were very professional and able to answer all of our questions and concerns about switching Third Party Administrators. The FSSolutions team has been extremely helpful in the transition period, holding weekly calls and working closely with our Safety, IT, and Field associates to make the transition seamless. We are confident in their professionalism and ability to deliver the services we need to keep our business running smoothly. We are a trucking company located in central Wisconsin; we have an active fleet of approximately 335 trucks/drivers that travel nationwide. We enlisted FSSolutions to help us with overseeing our DOT Physicals and management of our medical documents. Later, we went on to add our Return to Work cases and our DOT drug and alcohol testing programs. Their quality of service and knowledgeable team exceeded our expectations. There is peace of mind knowing that FSSolutions' experts are assisting us with DOT Regulations when it comes to managing a trucking company, as well as, keeping us current on upcoming proposed changes. Working with them has made a difference for our company. FSSolutions' support is always readily available and professionally delivered. For over 21 years, FSSolutions (formerly FirstLab) has been a great partner in supporting our drug and alcohol testing requirements. Their expertise, insights and guidance in the drug and alcohol and MRO areas has provided us with an invaluable ally in these areas. There is little doubt we have been the benefactor of their consultative approach and it is widely recognized and appreciated across our entire organization. FSSolutions' entire team has done nothing but instill complete confidence through the quality of work performed and the professional manner in which it was delivered. I do not hesitate to recommend FSSolutions to anyone looking for a premier provider of these services. I would highly recommend FSSolutions as a provider and business partner to any employer or association required to comply with federally mandated requirements. The professionalism, quality of services, and knowledge of the staff is first rate and has been incredibly valuable to our members. FSSolutions has been a valued business partner, providing our members with regulatory guidance, audit support, consultation on testing issues, as well as education and training. The partnership with FSSolutions has been a tremendous asset with regards to a service offered to our members, and it really has been a true partnership. FSSolutions (formerly FirstLab) has been providing drug and alcohol testing, regulatory compliance and consulting services to our members since 1994. FSSolutions has provided these services in accordance with the Department of Transportation (DOT) and Federal Aviation Administration (FAA) regulatory requirements (49 CFR Part 40, Part 121 and Part 67). FSSolutions has been our TPA for drug and alcohol testing services since 1995, helping us meet the requirements of the US DOT (FMCSA) testing regulations, along with our non-DOT testing also. Everyone at FSSolutions , from the Account Coordinators to the senior leadership team has instilled complete confidence through the quality of work performed and the professionalism with which it is done. "FSSolutions has provided services in accordance with CFR 49 Part 655 and CFR 49 Part 40 and successfully assisted us with satisfying a Federal Transit Administration audit of our drug and alcohol program. I would highly recommend FSSolutions as a third party administrator for drug and alcohol programs of any provider required to comply with such federally mandated requirements. The professionalism, quality of services, and knowledge of the staff is first rate and has been incredibly valuable to our programs." Our drug and alcohol program received the best customer service in the industry from our FSSolutions Account Coordinators. FSSolutions provides excellent service to us on a daily basis, but most importantly they are extremely responsive when needed for assistance with an urgent matter. FSSolutions proved to be an invaluable partner when faced with the challenging task of managing our drug and alcohol program needs. We had our first FTA Drug and Alcohol Program Audit and we did very well! A sincere “Thank You” to each of you at FSSolutions. The auditors were very complimentary of each of you and I could not have been more pleased. The Senior Resource Association management and I appreciate all your time, the many emails and conversations we had before the audit, and your willingness to support us. To a continued work relationship…Thank you again! Our nationwide drug and alcohol-testing program consists of hundreds of locations throughout the country, each with both a regulated (FMCSA) and non-regulated lab account. Our annual testing volume totals approximately 23,000 urine drug tests and 19,000 alcohol tests. Our FSSolutions Account Coordinator exceeded our expectations in the areas of customer service, responsiveness, experience in the industry and knowledge of applicable regulations and our unique policy and procedures. An account under the management of FSSolutions, with the oversight of a dedicated account coordinator, is in the best of hands. I have acted as the DER for our drug and alcohol testing program for over 15 years and truly feel that our drug and alcohol program receives the best customer service in the industry through FSSolutions. FSSolutions has provided drug and alcohol testing services in accordance with CFR 49 Part 655 and CFR 49 Part 40 and successfully assisted our member’s transit providers in satisfying all Federal Transit Administration requirements. The staff at FSSolutions are professional, knowledgeable, quick to respond and thorough. They are adept at every stage of the program from initial collection site set-up through reporting results, to FTA program audits. FSSolutions made the transition easy and lead it with professionalism and attention to our programs needs. FSSolutions Account Coordinators and leadership have been responsive, available, highly competent and friendly. They have partnered with us to make the transition efficient and easy on staff and participants. FSSolutions continues to be responsive and available when we need them – no matter the time zone. From the representatives in the office to the collectors in the field, FSSolutions' staff have instilled complete confidence through the quality of work performed and the professionalism with which it is done. I do not hesitate to recommend them to anyone looking for services in this field. We are a rather large company with multiple divisions and very complex screening requirements; however FSSolutions made the switch for us rather seamless and have continued to meet our expectations on a daily basis. Probably the very best thing about FSSolutions is their level of customer service. Anytime we have had an issue or concern they have quickly handled everything we have thrown at them. I constantly hear praise from my team on the service they are providing! Additionally, the turnaround time has been significantly faster than previous vendors we have used, which is a huge part of our business, especially being in the staffing world. Our regional air carrier provides scheduled passenger service through the eastern US. We are required by the FAA and the DOT to have an approved drug and alcohol-testing program. We have worked with FSSolutions (formerly FirstLab) for many years, FSSolutions provides a list of approved collectors and collection facilities throughout the US. We are truly pleased with the service provided by FSSolutions, they provide good service to us on the routine services but most importantly they are very responsive when we encounter non-routine issues. I would whole heartedly recommend FSSolutions to anyone looking for a drug and alcohol program. FSSolutions provides a wide variety of services to our members including establishing collection facilities, administering random selection, laboratory testing, MRO services and recordkeeping. Our members frequently remark that the services have relieved much of the administrative burden for them. More importantly, the services are provided to ensure regulatory compliance for the airlines and their vendors. FSSolutions staff is also noted for their high level of customer service and attention to detail. We have been working with FSSolutions, formerly FirstLab, for several years, and have been very happy with the service provided by our dedicated team! Coming from the staffing world, we can be pretty high maintenance – we have a ton of specifications and ever-changing requirements, expect quick turnaround time, and are constantly changing our account setup based on our clients’ specifications. FSSolutions has always been super accommodating to our needs, as well as offered viable solutions to many of our tricky situations that arise, practically on a daily basis. We know that we’re a valued client, and are reminded of this all the time as they reach out to us for input on system upgrades, to ensure that their goals align with our needs. I Greatly appreciate the partnership, and know my team does as well. Calhoun County Senior Citizens Association, Inc./Calhoun County Transit have been using FSSolutions (formerly FirstLab) under the State of FL contract for the past 20 years, this contract started in 1997. FSSolutions has always worked with the providers to ensure that everything is kept confidential and results are submitted to the website in a timely manner. If we ever have to call FSSolutions with an issue 'usually on my part' then they get right on it and correct the issue for me! It is a pleasure working with a company like this because of the experience that they bring to the State of Florida Drug Program. I have had the pleasure of working with FSSolutions (formerly FirstLab) for the past fourteen years. As the contract oversight manager for the Florida Department of Transportation’s statewide contract with FSSolutions, I have interacted with representatives from all levels of the organization and have found each team member to be personable, professional and attentive to our state’s drug and alcohol testing needs. Florida’s contract with FSSolutions has benefitted more than three-hundred transportation providers throughout the state since 1996. FSSolutions has been an extremely valuable resource for regulatory guidance to our agencies whose programs are mandated by the Federal Motor Carrier Safety Administration and the Federal Transit Administration. Additionally, FSSolutions has provided Florida DOT with support and technical assistance during FTA drug and alcohol program audits and FTA state management reviews. When the Florida Department of Transportation has issued requests for proposals, FSSolutions has always exceeded the minimum standards in our scope of service. In comparison with other third party administrators, the level of service and industry knowledge held by the leadership team at FSSolutions is far superior. FSSolutions (formerly FirstLab) has been providing services to the PennTEST consortium, which is a statewide consortium of 24 Pennsylvania transit systems/agencies since 2001. Services with FSSolutions were originally established via competitive bid process and they continued to successfully bid to remain the Third Party Administrator for PennTEST for the past seventeen years. FirstSource has provided these services in accordance with CFR 49 Part 655 and CFR 49 Part 40 and successfully assisted Pennsylvania's member transit providers in satisfying all Federal Transit Administration requirements. The staff at FirstSource are professional, knowledgeable, quick to respond, and thorough. They are adept at every stage of the program from initial collection site set-up, through reporting, to FTA program audits. I would highly recommend FirstSource as a Third Party Administrator for drug and alcohol programs of any provider required to comply with such Federal requirements. For over 21 years FSSolutions, formerly FirstLab, has been a great partner in supporting Pepsi's Drug and Alcohol testing requirements. Their expertise, insights and guidance in the Drug and Alcohol and MRO areas have provided us with an invaluable ally. There is little doubt we have been the benefactor of their consultative approach and this is widely recognized and appreciated across our entire organization. FSSolutions' entire team has instilled complete confidence through the quality of work performed and the professional manner in which it was delivered. I do not hesitate to recommend FSSolutions to anyone looking for a premier provider of these services. Piedmont is a regional air carrier that provides scheduled passenger service throughout the Eastern United States. We are required by the FAA and the DOT to have an approved drug and alcohol program. The rule requires us as an airline to provide pre-employment drug screening, random drug and alcohol screening, post-accident drug and alcohol screening, and reasonable suspicion drug and alcohol screening. Piedmont has worked with FSSolutions, formerly FirstLab, for many many years. FSSolutions provides a list of approved collectors and collection facilities throughout the US. They also provide a random selection service, screen all urine specimens, provide MRO services and a variety of other laboratory services required in the rule. We are truly pleased with the service provided by FSSolutions. They provide good service to us on the routine services but most importantly they are very responsive when we encounter non-routine issues. I would whole heartedly recommend that your Company seriously consider using FSSolutions for your drug and alcohol program needs. Choosing FSSolutions in 2015 to be our physical and drug screening provider was one of the best decisions we've made. FSSolutions filters through thousands and thousands of physicals each year for our company, but does so efficiently, timely and in an organized manner. Ruan frequently calls and emails for advice, clarification or with general questions. Each response is quick and always has our questions answered. We have the upmost confidence in FSSolutions and the solutions they provide for us. I would not hesitate to recommend their services to anyone looking for an all-encompassing provider. Their partnership is truly recognized and appreciated. FSSolutions, formerly FirstLab, has been the Third Party Administrator for SMART's drug and alcohol testing program since 2006. SMART is a public transit agency the employes approximately 700 safety-sensitive employee. FSSolutions has provided services to SMART in accordance with CFR 49 Parts 40 and 655. They have successfully assisted the Authority in satisfying the Federal Transit Administration's requirements related to SMART's drug and alcohol testing program. We have been extremely satisfied with the services provided by FSSolutions and recommend them as a Third Party Administrator for drug and alcohol testing programs of any provider required to comply with such Federal requirements. The professionalism, quality of services and knowledge of the staff has been exceptionally valuable to our program. FSSolutions has provided FTA drug and alcohol testing compliance services to Via Mobility Services since 2015. We are very pleased with the excellent work they have done on our behalf and have found their staff to be efficient, knowledgeable and easy to work with. Their web based tools, including reports and result retrieval, provides prompt secure access to donor results. Their audit support and compliance services have proven very valuable to us. 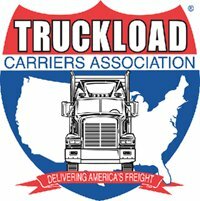 I would highly recommend their services to any FTA covered employer. As the Drug and Alcohol Program Manager, I have had the pleasure of working with FSSolutions (formerly FirstLab) for almost two years. During this time, the experience has been very pleasant. I would like to highlight the excellent customer service that I have received as well as the quick response time to address any issues. It makes a tremendous difference that I am also able to pick up the phone and speak with the same representative regarding our account. I have witnessed other providers that are not able to provide the same level of services or consistency. I am also very appreciative of the easy to navigate website and tutorials or webinars that are often provided by FSSolutions. This helpful information provides regular updates, and shows potential hazards during collection. It continues to be a pleasure to work with the FSSolutions team members regarding our drug and alcohol program. I look forward to continuing this relationship with the knowledge, experience and professionalism that FSSolutions has been able to provide Voltran.